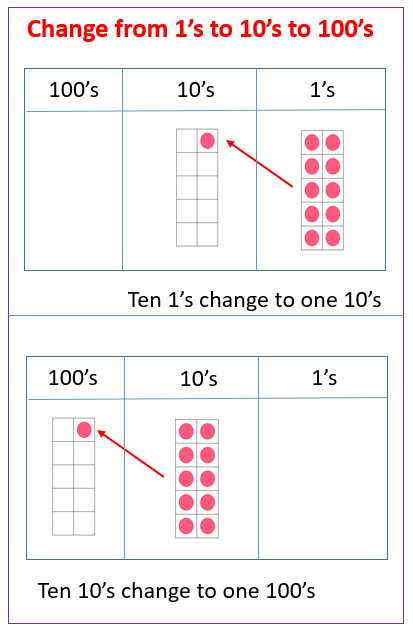 Examples, solutions, and videos to help Grade 2 students learn how to change 10 ones for 1 ten, 10 tens for 1 hundred, and 10 hundreds for 1 thousand. The following diagram shows how to change from ten 1's to one 10's and from ten 10's to one 100's. Scroll down the page for examples and solutions. Count by ones from 368 to 500. Change for a larger unit when necessary.